Amazon, the online company that is taking the nation by storm, has decided to branch out from its online format to create a physical store. Amazon is known for being all about convenience, shopping online allows people to never have to leave their house and still be able to buy cute clothes, handy household appliances and much more. But now there is a place that people can quickly get things that you wouldn’t online. 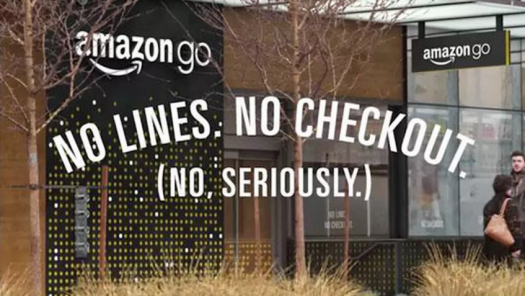 Amazon’s new smart convenience store, called Amazon go, is the world’s first cashier-less and cash-less store. It just opened on Monday, January 22, in downtown Seattle, which is where Amazon’s headquarters are located. The purpose of the store is so that you are able to walk, grab what you want, and leave. No more hassle with lines to pay, you are able to pay online through your Amazon account. It may seem like robbing the place would be easy, but for anyone in the store, there are cameras watching their every move. You also can only enter by scanning a QR code generated by the Amazon Go App at the door, and then it immediately connects you to your account. With them being able to connect your account and watching your every move, they are able to prevent robberies. The most impressive thing about the cameras is that they have a 99.9% success at keeping track of the right people and the right things they buy. Without this, some people who have dressed alike could create confusion for the cameras. Facial recognition is also not an option for customer privacy. Through this new and revolutionary store, Amazon has been able to do something remarkable and truly hard to replicate.